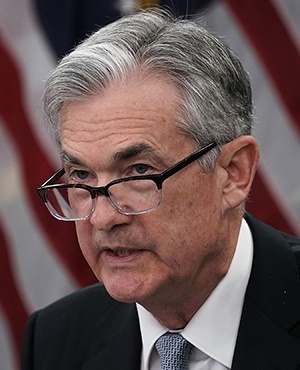 The Fed’s signal that it will keep interest rates on hold for the full year reflects concerns that economic growth is slowing, lower energy prices are weighing on inflation and risks from abroad are dimming the outlook. Those headwinds contributed to sharp financial-market volatility late last year. US stocks recorded their steepest December losses since the Great Depression as President Donald Trump publicly hammered Powell to stop raising rates and investors saw the Fed’s projected hikes as a policy mistake. Stocks have rebounded since the Fed made a dovish pivot in January, replacing a reference to further gradual rate increases with a pledge for patience. Wednesday marked policy makers’ first opportunity since December to lay out in quarterly forecasts the extent to which their projections for hikes have changed. Policy makers also lowered economic-growth projections for this year and next, giving a 2.1% median estimate for 2019, a full percentage point below last year’s pace. The projections showed 11 of 17 officials saw no hikes this year, while four expected one rate increase and two people projected two hikes. Policy makers expect to lift rates once in 2020, to 2.6% by the end of that year, and hold them steady in 2021. That compares with a December projection for a 3.1% rate in 2020 and 2021, with borrowing costs converging to 2.75% in the longer run, according to the median path. That long-run estimate was unchanged in Wednesday’s forecasts.